Our state of the art facility is fully equipped and capable of producing precision molds and parts to the highest standard. 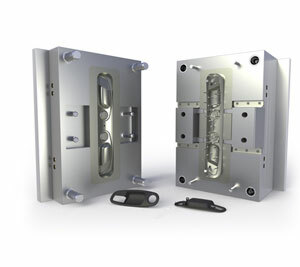 Our highly skilled mold makers can handle the most complex designs from our most demanding customers. 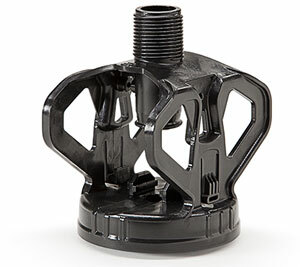 We will NOT outsource your injection mold overseas like other injection molding companies. Our Customer’s molds are always made in our facility right here in south east Michigan, USA. 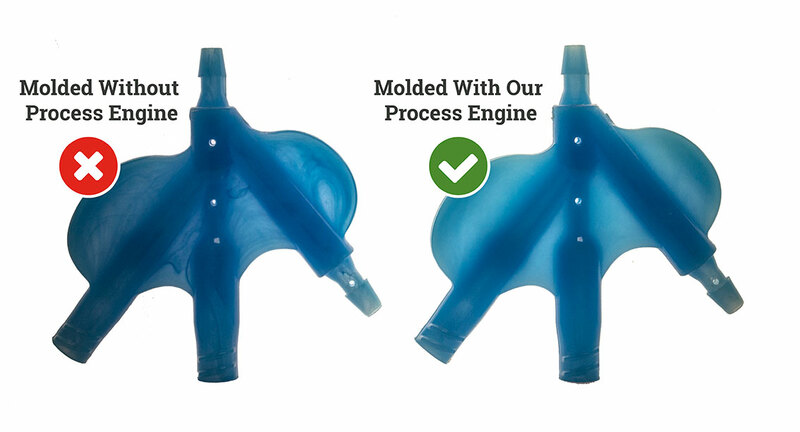 Because we keep the entire injection molding project In-house, you have access to instant response through the mold building process. This includes timing updates, and on the fly revisions. In addition, we are able to offer faster lead times on production part re-orders. Our scientific approach to injection molding is what you expect from your injection molding company. When it comes to plastic parts, precision and consistency is important. Because we understand this, we developed software to monitor the injection molding process . The process engine is used during the production part run in order to provide the process technician the optimal machine parameters to mold a quality part. Without this technology, other injection molding companies are operating at trial and error, usually at the customers expense. At Xcentric “no geometry limits” means we build your part to your design. That means your part can be produced with unlimited features such as, undercuts, internal and external threads, thin wall molding, insert molding and much more. In addition, we do not ask for changes to make it easier for us to build your part. Simply put, there is no other plastic injection molding company that will tackle more complex parts than Xcentric Mold & Engineering. Therefore, if another custom molder “no quoted” your part, or asked for design concessions, it is probably because they don’t have the skills or are just trying to add to their bottom line. At Xcentric we offer free design review and manufacture-ability analysis. Therefore, if we find an area in your part that can’t physically be manufactured, we will find a solution. Most of the time our skilled engineers will make the proposed change to your 3-D CAD model and send it back to you for approval. On the contrary, other molding companies tell you to change your part without any suggestions. Furthermore, the area they tell you that needs to be changed likely doesn’t need changing at all. They are likely just making the job easier for them and adding to their bottom line. Our quote team is highly experienced in all areas of the plastic injection molding process. From design tips to material selection we guarantee that getting a quote has never been easier. Here at Xcentric, we have listened to what our customers wants from their injection molding company. Therefore, we have tailored a process from quote and design, on through manufacturing of the production parts. Our online quote process and customer portal is a great way for our customers to manage all of their projects and parts. As a result, our customers can place orders from anywhere in the world 24 hours a day, 7 days a week.